Glasgow distillery is embarking on a £6 million expansion to double its whisky making capacity to over one million bottles a year. The distillery situated in Glasgow’s Hillington Business Park only began producing whisky in 2015, but is already preparing to expand its operation, ‘a lot quicker than expected’. Glasgow Distillery Company has already ordered two new copper pot stills from Carl in Germany, which are complete replicas of Glasgow distillery’s two existing stills. An additional seven stainless steel washbacks will also be installed, taking the total to 11. The expansion, which is set to be complete by 2019, will take Glasgow distillery’s single malt whisky capacity up to 500,000 litres of spirit per year. 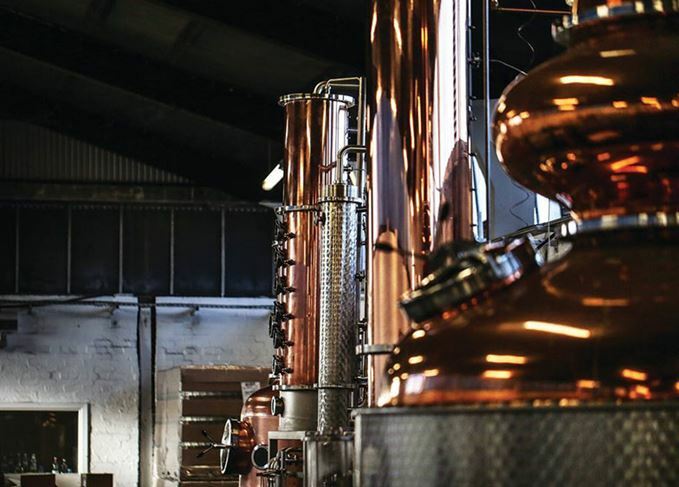 Liam Hughes, CEO and co-founder of the Glasgow Distillery Company said: ‘Since the beginning, we had plans to expand Glasgow Distillery Company and become a drinks company with an array our high quality products. Glasgow distillery’s first single malt, a three-year-old matured in first-fill ex-Bourbon casks and finished for a short period in virgin oak, was sold via an online ballot at the start of June. The Glasgow Distillery Company was founded in 2012 by Hughes and fellow business partners Mike Hayward and Ian McDougall. In 2015 Glasgow distillery became the first to distil single malt whisky in the city since the closure of Kinclaith in 1975.